If you’re determined to equip your yard with the perfect green grass, sod can be your solution. This is especially true in the south, where lush green grass doesn’t always grow naturally. Sod offers a host of benefits over other alternatives, and it can even be installed during the mid Florida winter! Many new sod owners become overly concerned when they discover that their freshly installed sod is actually brown, not green. Though it can seem counterintuitive to accept brown grass as a good thing, it is true that brown sod shouldn’t be feared. Sod grass is planted on a farm and then removed carefully from the ground in sections that are held together by the roots. This allows the sod to be replanted instantly on a new surface like your lawn. Since the sod is fully matured, it simply rolls out onto your yard looking beautiful. Overall, planting sod is the simplest way to obtain a perfect lawn. Sod is available in many forms that offer unique perks based on location and purpose. Zoysia, for example, is a very popular option because it is so hardy and grows well in southern climates. Zoysia is also a favorite because it does not require as much watering, mowing, and maintenance as other choices. Once installed, Zoysia provides a thick grass that feels comfortable on bare feet and is able to endure heavy walking and playing traffic. Why Is Brown Sod Okay? During the winter in Florida, it actually normal to see brown sod being laid. The brown occurs when frost has the opportunity to sit on fields at night. Frost actually doesn’t harm sod in the long run; it simply shows that the sod is essentially hibernating. Once it is installed, properly watered and fertilized, and prepared for warmer weather, the brown will give way to a beautiful, lush green color. In fact, brown sod can actually be a good thing! If your sod is brown when it is installed, the color proves that your sod provider did not try to fool you by painting your sod green. It also means that you did not pay extra money for green sod to be transported from a farm in a warmer area. 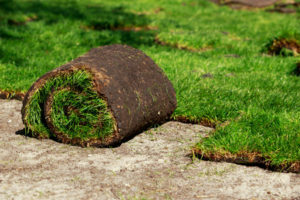 Purchasing local sod, even if it is brown from frost, is a smart and affordable decision, especially when you purchase from Council Growers Sod. At Council Growers, we grow our sod in the outlying areas of Tampa Bay that get colder during winter nights, but our carefully nurtured grass will always thrive once installed in your yard! Call (813) 633-8665 to learn more now.